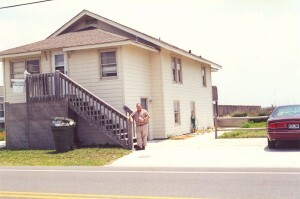 The last six pictures below show our home at 833 S. Fort Fisher Blvd over the years. 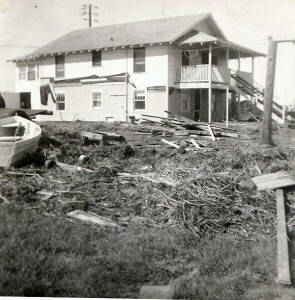 The house is still there today. 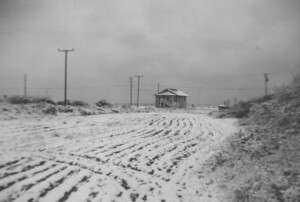 My Dad, Curtis Hewett, built our family house in 1932. I was born in 1939. 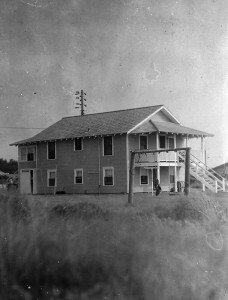 This house was the family home until our move to Texas in 1956. The first image is the nearby Fort Fisher gates. Photo by Louis T. Moore c. 1932. 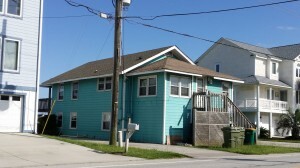 The second image is of our beach-front home at 833 S. Fort Fisher Blvd – as viewed from my grandmother’s home which was located directly across the road. The third picture is of my grandmother’s house, Addie Lewis Hewett Todd. Her house was directly across the road from our family home. 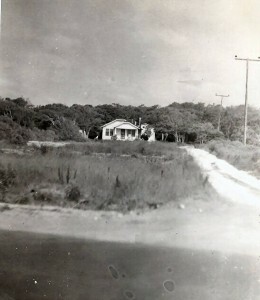 Years later her house was moved into Kure Beach. Looking from our house, toward the Fort Fisher Gates, Dad owned half way to the gates and Crawford Lewis owned up to the gates. 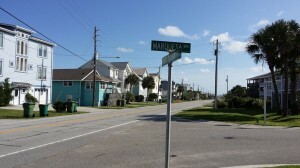 Looking north along Hwy 421, from the Fort Fisher gates up to Davis Road, there were 3 equal parcels that ran from the ocean, all the way across to the Cape Fear River. Crawford Lewis at the gate, Hewett’s in the middle & the Davis’ down to Davis Road.